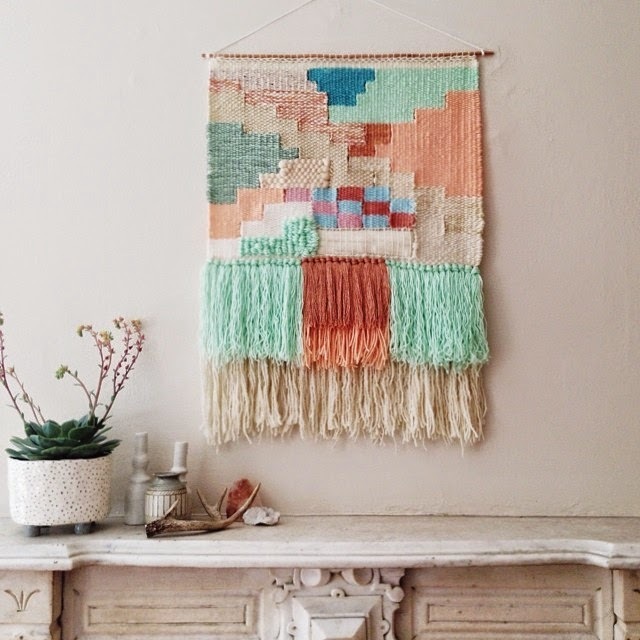 Recently I added weaving to the list of things that I'm obsessed with. While searching through pinterest to get a better grasp of weaving techniques I stumbled upon the lovely works of Maryanne Moodie and I knew I needed to share her art with my readers. The way she plays with color and texture create beautiful additions to any home and really make a statement. Weaving is a lot harder than it looks, so I think the amount of detail and layers she adds to her work are down right impressive! 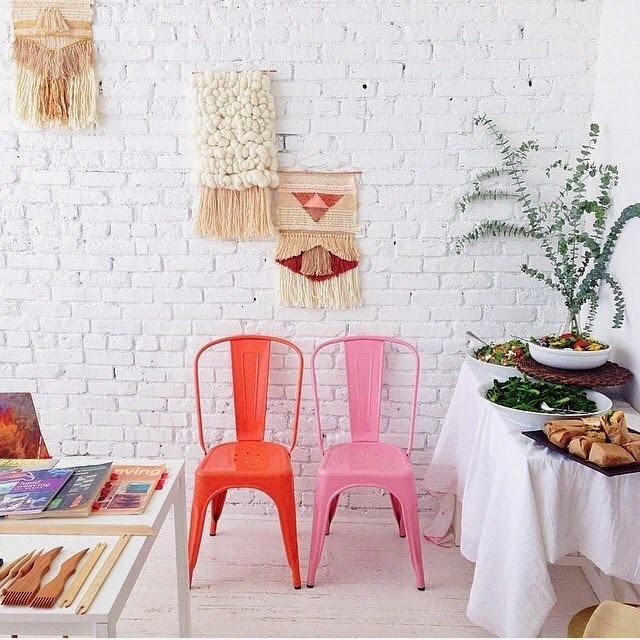 Recently Maryanne taught a weaving workshop with the ladies from DESIGNLOVEFEST, a big favorite of mine. I would have loved to have been there, maybe I would have absorbed some of their creative juices! 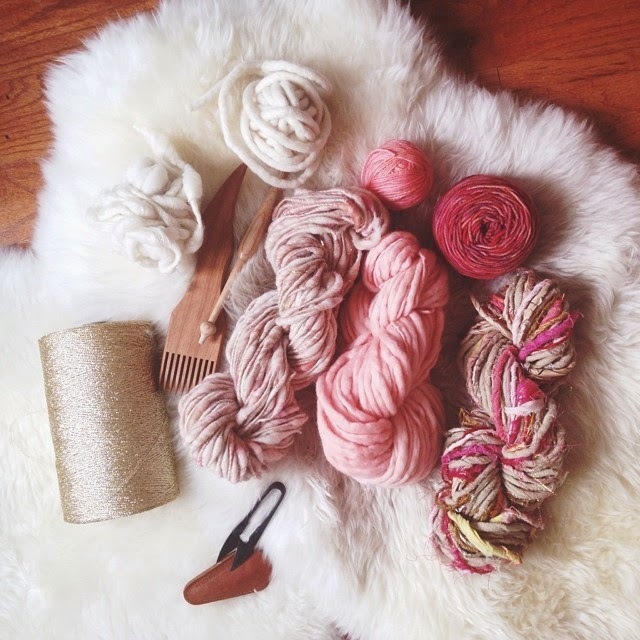 I love that Maryanne uses a lot of natural fibers created by small and local businesses. I am a huge yarn snob and a fan of hand spun, hand dyed, organic fiber and the look it creates so naturally her choices of fiber and color really connect with me. I could look at her instagram account for hours, there are so many pretty pieces to admire! Hop on over to her account to explore all of her designs and to show her a little insta-love! all photos credited to @maryannemoodie via instagram, click on pictures to take you to the original post. 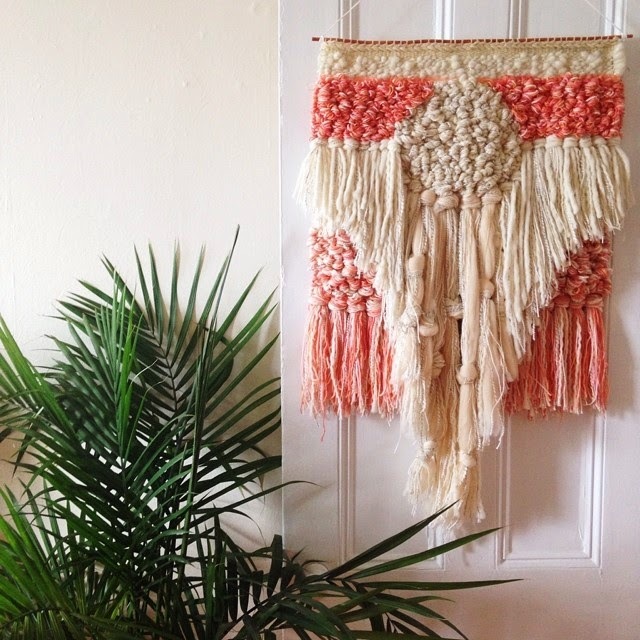 Have you been loving the weaving trend sweeping across the instagram and blogging community? What are some of your favorite Maryanne Moodie designs? Is it a pretty easy trait to learn? I need a new hobby!